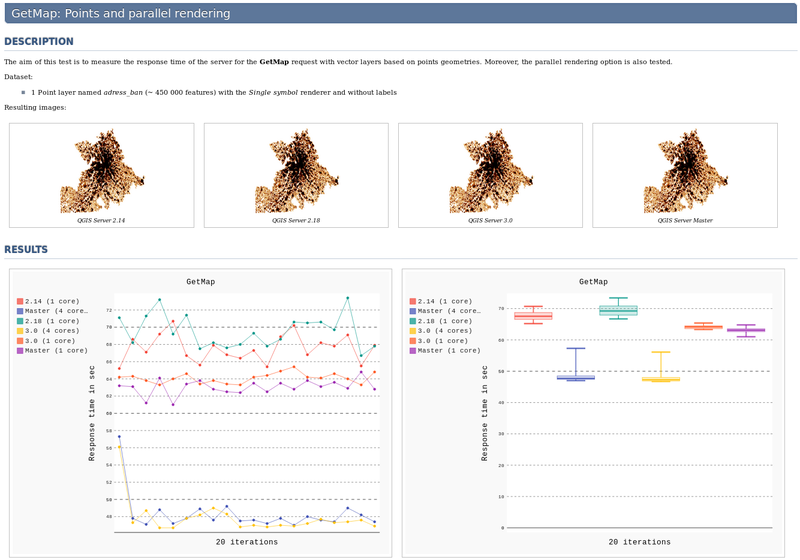 Want to be notified of new releases in Oslandia/QGIS-Server-PerfSuite? The goal of this project is to provide a simple and convenient way to deploy an infrastructure for assessing the performance of QGIS Server. everything needed for running your own test scenarios with you own QGIS Server version! 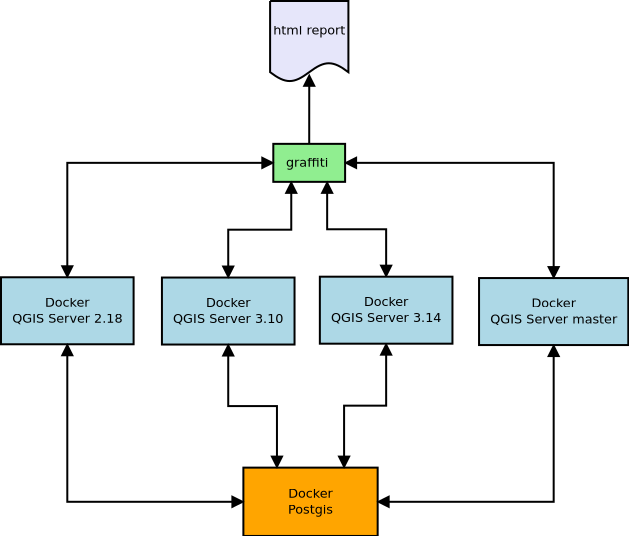 Moreover, considering that docker-compose is used to run the tests, QGIS Server may be configured through environment variables (to activate the parallel rendering for example). Note that if you just want to measure the performance of an already-running QGIS Server you just need to use Graffiti without the whole infrastructure. Then the generated HTML report should be /tmp/graffiti/report.html. Note that the data used for testing is in the scenarios/data subdirectory. The tool used to run and generate the report is Graffiti, so you should take a look at its documentation first. If you want to run some tests with a custom .qgs project, you need to add your project to the scenarios/data subdirectory. Moreover, if your data is based on GeoTIIF, Shapefile, ... files, you also need to copy the date files to scenarios/data. In this way the Docker containers will be able to use them!